We may well be fully in the midst of winter now but I'm still not completely done with Autumnal recipes. 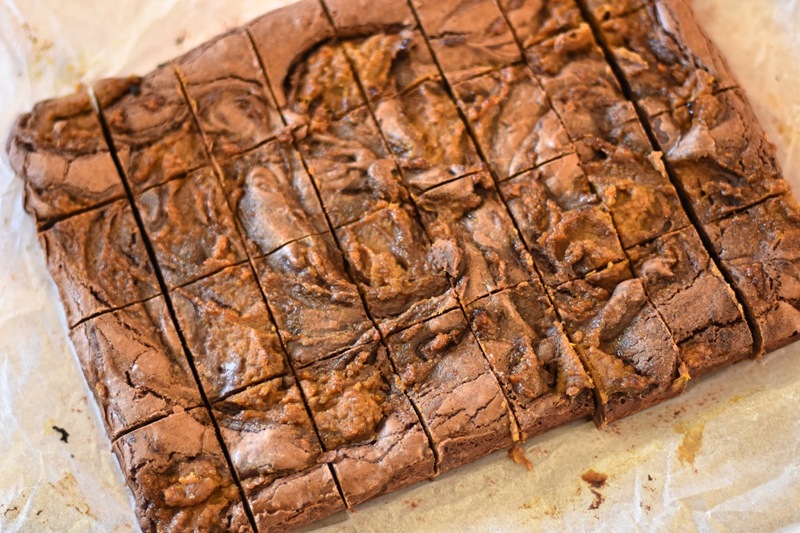 This week I've already eaten pumpkin soup, pumpkin pasta and now pumpkin brownies. 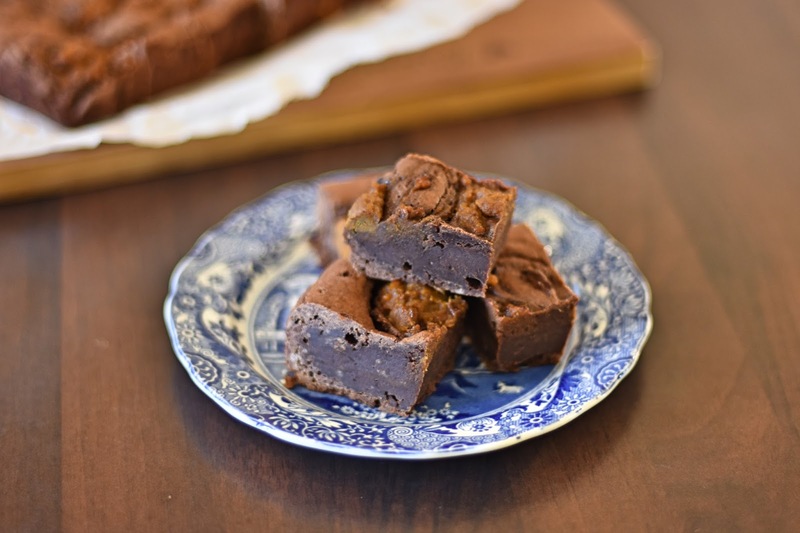 The partnership of rich, dark and fudgey brownies goes brilliantly with a little swirl of spiced pumpkin. Trust me, give it a try. Heat the oven to 180 degrees and line a 20cm square baking tray. Whisk together the eggs and sugar in a large mixing bowl until combined and set aside. Melt the butter and chocolate together over a pan of barely simmering water, remove from the heat and leave to cool slightly. Return to the eggs and sugar and whisk once again until pale and fluffy. Pour in the chocolate and butter mixture and combine. Gently fold in the flour using a spatula, careful not to over mix. Mix together the pumpkin ingredients until smooth. Pour the brownie batter into the prepared tin. Dollop the pumpkin onto the top and swirl using a skewer. Bake for 25-30 minutes. The top will be firm with a wobble in the centre. Remove from the oven and leave to fully cool on a wire rack before chilling in the fridge for at least 2-3 hours (I like to leave mine overnight). This allows you to slice the squares neatly. Serve from room temperature though to ensure the optimum level of fudginess.